Jeffalytics is proud to partner with the DemandQuest training institute in Minneapolis to offer Google Analytics training to those in the area (and even those who come in from out of town). 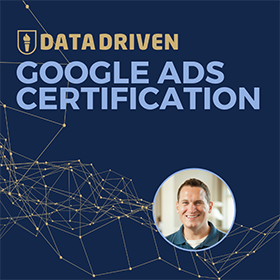 Ted and Rachael have a top notch operation in Minneapolis and I really enjoy teaching the students all of the finer points about Google Analytics, seeing “ah-ha!” moments and helping become certified through the GAIQ program. The sessions have generally been in the fall and in the spring, and the next set of dates is fast approaching. We will be offering Google Analytics Training, and I’d like to invite you to join us if you are interested in attending a class! The courses follow a simple format – Beginner, Intermediate and Advanced. 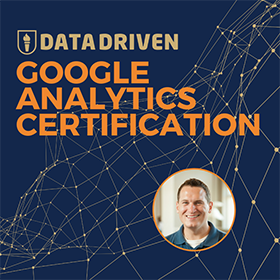 We have also added a fourth course this time, which I am particularly excited about called “Analyzing your Google Analytics Data”. This course focuses less on the technical aspects of GA and more on live data analysis of how to analyze certain scenarios that pop up. Just for being a loyal Jeffalytics reader, I am offering 10% off any course using the code jeffalytics at checkout. Here is a schedule of when courses will occur and a summary of what they cover. In this session we build on what we learned in the beginner course and learn how to extend Google Analytics beyond the basics. You can expect to learn how to clean up data coming in, track your marketing campaigns, Goals, Custom Reports, Site Search and much, much more! This is the session that ties it all together. 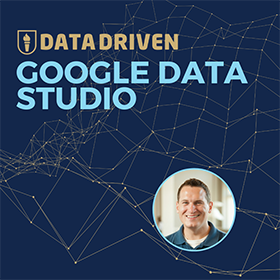 After building a strong base of knowledge in beginner and intermediate sessions, the advanced session connects the dots for attendees and empowers them to take full advantage of what Google Analytics has to offer. Learn all of the best practices of managing your Google Analytics account, make sure all data is coming in cleanly and coming up with insights that will make your business better. During our last training session at the end of 2012 we took some time out of the advanced class to walk through specific case studies of what we can do once our Google Analytics account is properly configured and tracking data. Attendees got to see Google Analytics through the mind of an Analyst, watching as I walked through how I analyze the data I find in Google Analytics, how insights are gained, and how we can become great analysts. This session we feel that this is so important that we are breaking it out into its own session. We are also offering brave attendees the opportunity to have me do a live analysis of their site and offer insight as we move along. Four hours of top notch and customized consulting for your website for only $175? That’s a great deal folks! This class is essential if you want to take the GAIQ exam! Learn how the exam works and study for questions. Which Google Analytics Course is Right for You? While you may think that a single course is right for you, it’s actually those who attend all courses that receive the most benefit. In fact, many people start out signing up for just the Beginners course, and then end up signing up for Intermediate and Advanced after attending that first week. Attending all courses also gives you the best deal! It’s that easy. I really look forward to seeing you soon! If you don’t think that this is right for you, or you are not in the Minneapolis area, please contact me to discuss bringing training to an area near you!